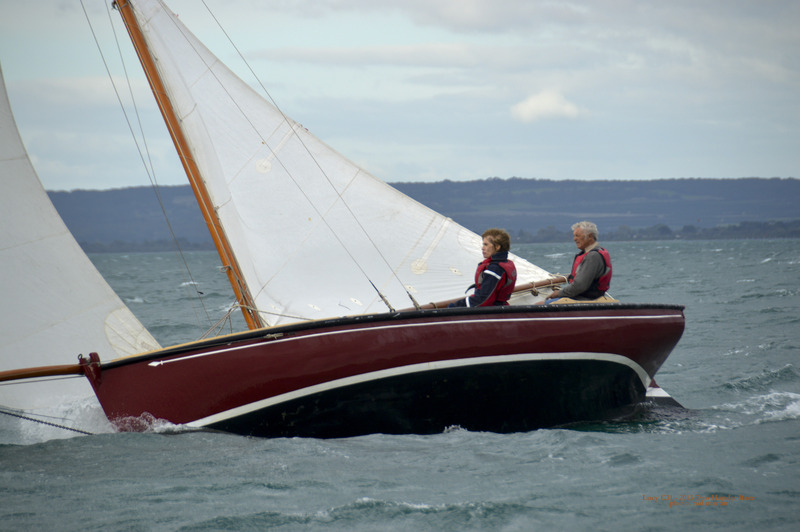 When the well-known wooden boat builder, Tim Phillips, purchased Lucy in the early 1980s, she had been renamed ‘Diane’. For the current owners, this is a surprise discovery and indicates that Lucy has a history that is yet to entirely unfold. As is often the case with heritage boats, Lucy’s 86 years of history will take some unravelling, relying largely on the oral records proffered by her various owners and crews from the 1980s and onwards. Lucy was built by Ken Lacco in 1931 at Rosebud and it was widely assumed that she was named after Ken Lacco’s mother, Lucy. But according to Tim Phillips, Lucy was named after Ken’s elder sister, Lucy, who created her own pedigree in the world of wooden boats. For some time Lucy worked locally as a sailmaker, and when she was living in Queenscliffe, she made oil skins under the instruction of their father, Mitch Lacco. Later, Lucy worked as a sailmaker at Radins, a Melbourne company, thus demonstrating her own dedication to the family tradition. 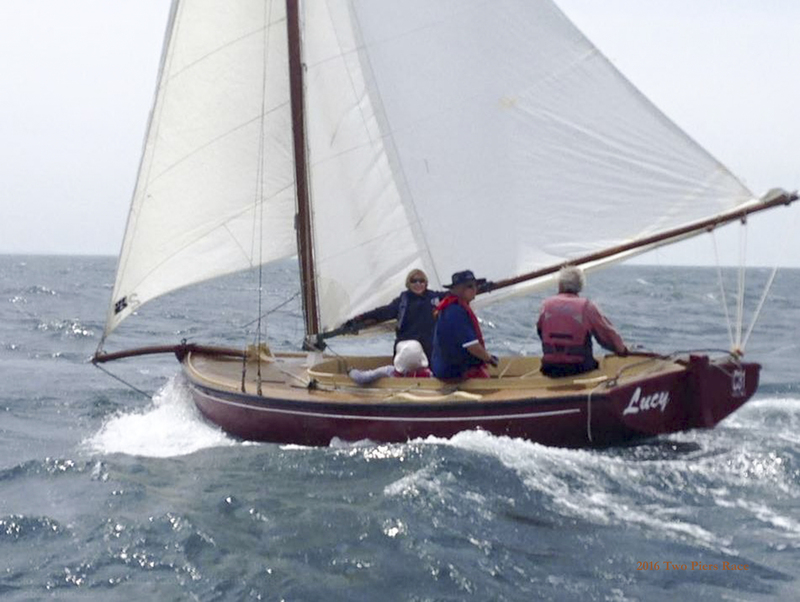 Lucy was one of the first of the couta boats that Ken Lacco built after the Lacco family relocated from Queenscliffe. Of note, the first couta boat he built back in Rosebud was Rob Roy, currently owned by Prime Minister, Malcolm Turnbull. Lucy was built for Ken to go long lining snapper ‘up the bay’. She was used as a fishing boat in the vicinity of Rosebud, Mordialloc and Williamstown. 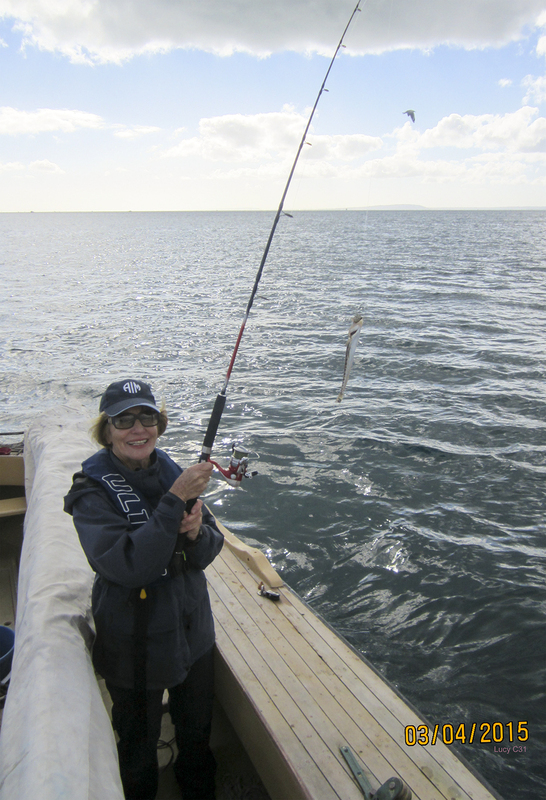 She was also used to fish out of Apollo Bay and then at San Remo where she was worked as a fishing boat until the 1960s. Suffice to say, it is difficult to obtain any detail regarding this period in Lucy’s life. We can assume however, that in keeping with the tradition of couta boat vessels, as a working fishing boat Lucy made an invaluable contribution to the fishing industry in Victoria, and of that we are proud. From the information provided by Tim Phillips it is apparent that Lucy underwent some alterations in her time as a working fishing vessel but, sadly, she also deteriorated into a state of disrepair. When Tim salvaged Lucy in the early 1980s from her resting place in Hastings on Westernport Bay, she was not far from sinking on her mooring and, in Tim’s words, “full of worms”. Further, she had been substantially altered from her original couta boat configuration. The centre-case was removed and a cabin had been added by Jack Pompei, the boat builder from Mordialloc. But sadly, Jack is no longer around to reveal his working knowledge of Lucy. When Tim purchased the derelict Lucy she was, in fact, named ‘Diane’ but he instantly recognized her as a ‘Lacco boat’. Ken Lacco was able to verify that the boat was actually Lucy, which he had built in 1931. ‘Diane’ was quickly reverted to Lucy, her original name, much to the pleasure of Lucy Lacco. Lucy remained in Tim Phillip’s ownership for a short time until she was purchased by Warick Leeming in 1983. They worked together in the carport of Tim’s mother at Delgany Ave Portsea to restore Lucy to her original condition. Tim declared that he worked ‘round the clock’ on the restoration. They were ably assisted by Warwick’s 12 year old son who had the pleasure of sailing Lucy in the Scotch College Sea Scouts regatta in Portsea over the coming Easter. In the process of this massive restoration Tim used wooden shearlegs and a block and tackle to install the centre-plate. When finished, Lucy was striking in her navy blue and Cumberland stone colours, and beautifully restored and preserved for her future life on the water as a racing couta boat, after her many years of service as a fishing vessel. 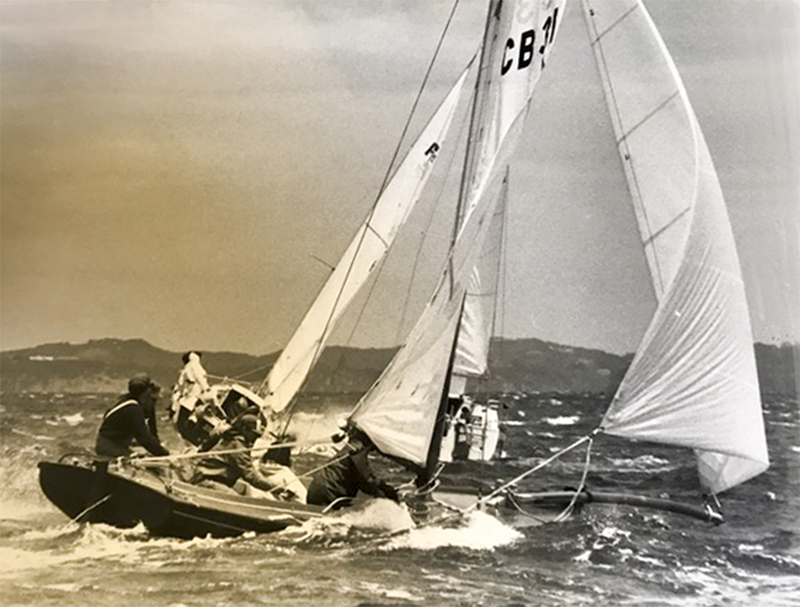 In the following years Warick Leeming raced Lucy out of Sorrento Sailing Club and was successful in winning numerous races, including the Portsea Cup. Warick maintains that Lucy is a very fast upwind boat. Having proven Lucy’s successful racing pedigree over the next five years, Warick sold Lucy to buy Kate, a Division 1 boat. Lucy was next purchased by Andrew Molloy who moored her off Shelly Beach in Portsea. It was in this period that Lucy, again, almost succumbed to the elements, having slipped her mooring in a gale and ending up on the beach. In 2002 Lucy passed into the hands of David Todd. 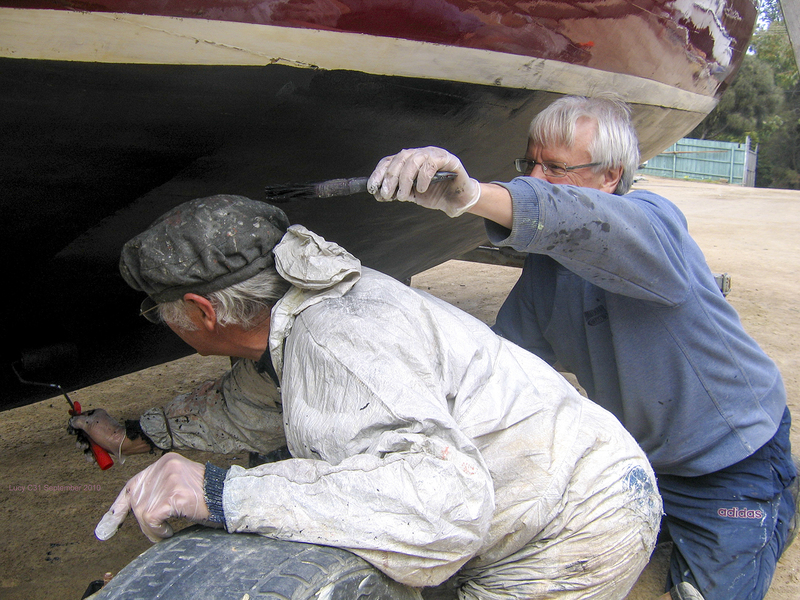 David undertook an overhaul of Lucy to restore her to pristine condition, including applying 2- pack epoxy paint on the hull and fitting her with new Rimmington sails. 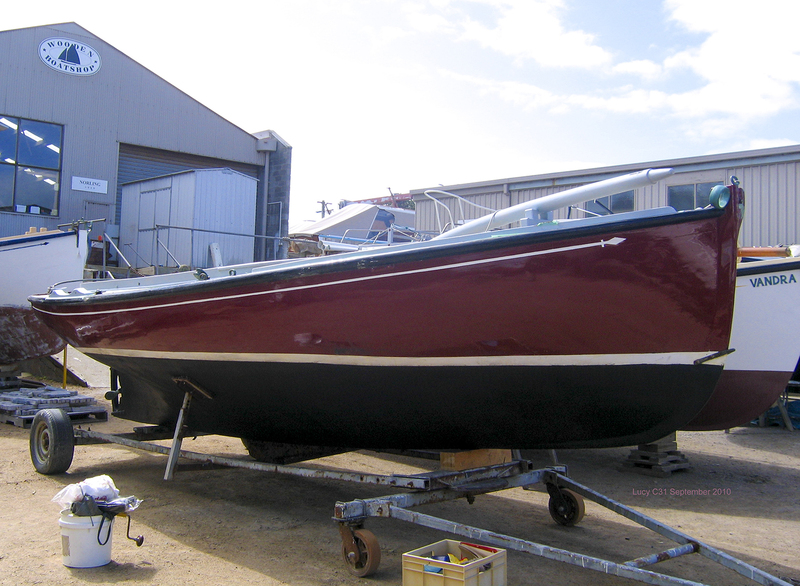 David painted Lucy in the port-wine colour to match Kate. The current syndicate is intent on maintaining this classic colour to highlight Lucy’s heritage features. After eight or so years of successfully racing Lucy (see Records Section), David passed on the custodianship of Lucy to a syndicate of sailors at SSCBC. Lucy was sold to the syndicate comprising David Barnes, Michael Golding, Tricia O’Brien, Stephen Wyatt in 2010. 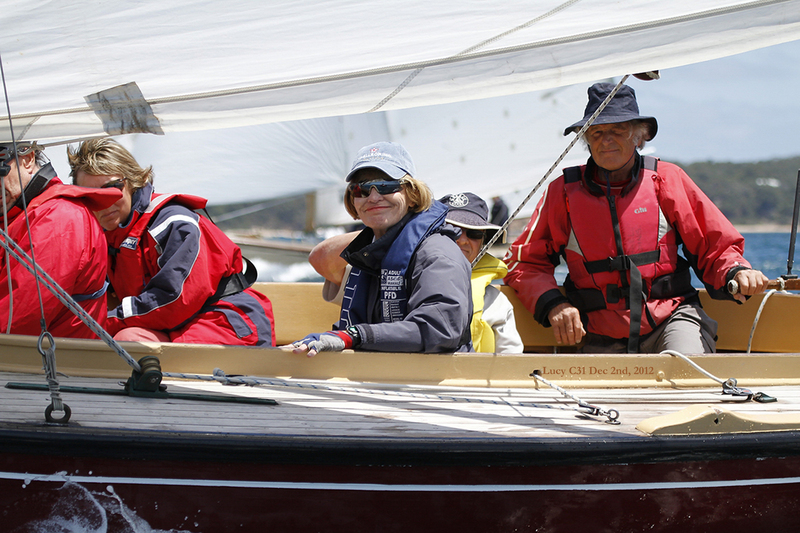 The syndicate members have continued to sail Lucy regularly in both the Summer and Winter Series at Sorrento and have been successful in ensuring that Lucy continues to preserve her racing pedigree. Significant wins are recorded in the Race Record section. In addition to the regular club racing Lucy has competed in the annual ISAF Regattas conducted out of both Sandringham and St Kilda. 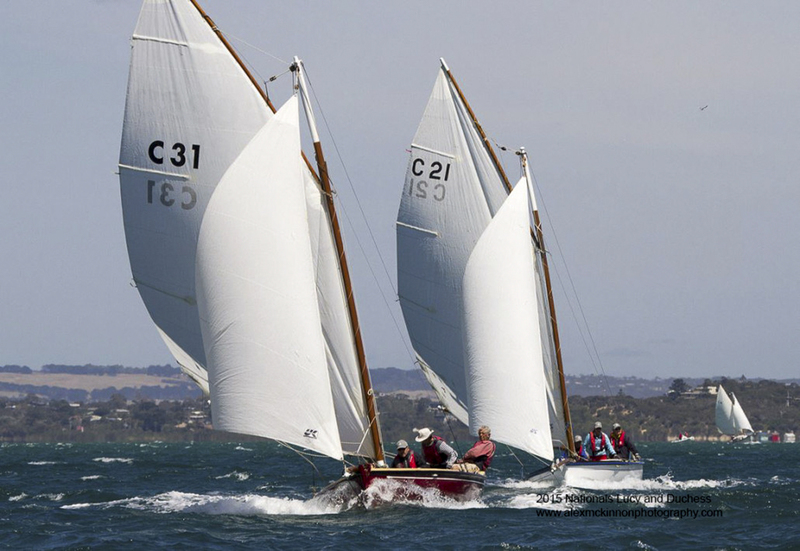 She has also been successful in regattas at the Bi-annual Wooden Boat Festival at Geelong in 2014 and 2016. 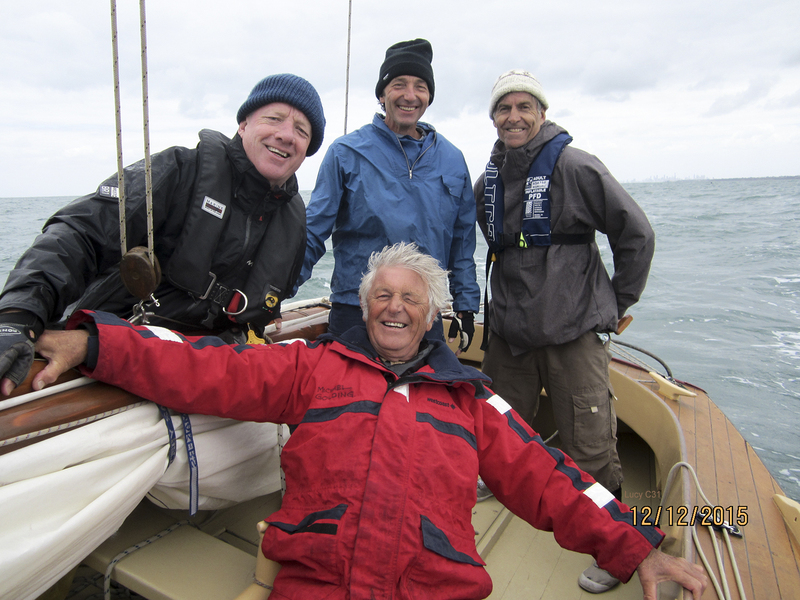 The journeys to and from such regattas constantly test her crew’s capabilities in terms of endurance and sailing skills, but the pure sensation of sailing an 86 year old couta boat through the waters always brings immeasurable pleasure to her owners. 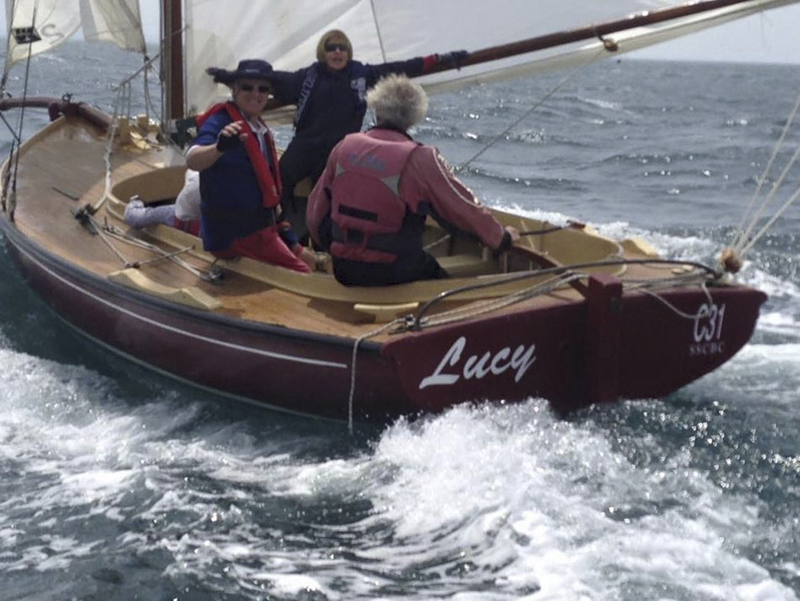 Beyond the racing competitions the current owners are also intent on maintaining the ‘heritage’ pedigree of the historical Lucy by using her for recreational pleasure. On occasions Lucy is used for fishing, she is a regular participant in the annual “Catch a Fish Day’ held on Good Friday. “The Lucy we know was definitely built by Ken Lacco for himself for long line & snapper fishing up the Bay, he thought he launched her in about 1931. Lucy is an old Lacco name & Ken’s mum was Lucy too, the eldest daughter was Lucy, she was a special friend of mine in the early 80’s, we use to talk for hours. Forti Lacco, was Kens grandfather a fisherman. Mitchell died in 76 (always remember this as it was the year colour television came in) aged about 92 or thereabouts so in 05/06 he would have been 20 or 21 so I would surmise it was him sailing & that he called the boat after his girlfriend or wife. Mitchie is in the Dromana cemetery, he outlived both wives. They moved back to Rosebud in about 1929 and young Kenny took over the business, the kids didn’t have shoes, they lived off the sea! 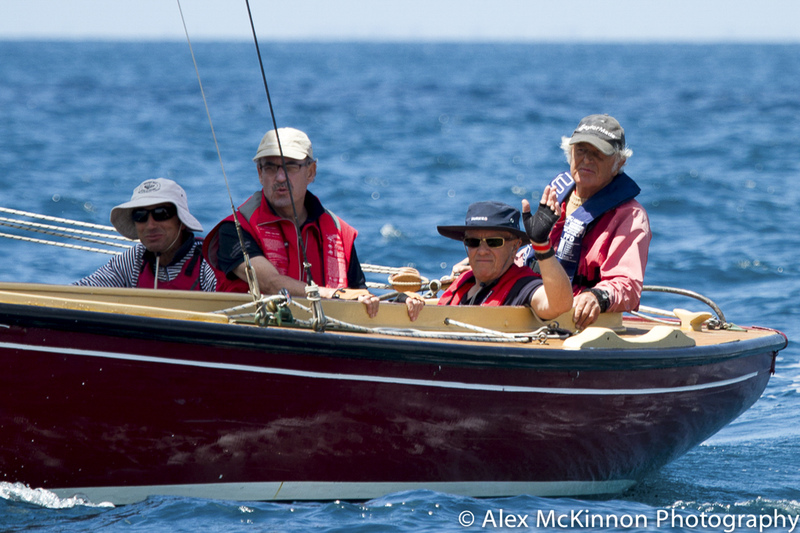 Wooden Boat Festival Geelong Couta Boat Cup 1st place.